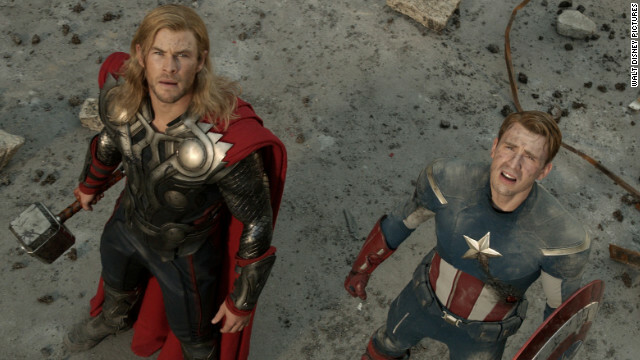 Chris Hemsworth, left, stars as Thor and Chris Evans stars as Captain America in "The Avengers." Let’s simmer on that word for a few: love. Love for a movie is a pretty significant emotion, and yet I stand by it. While not perfect (the gripes are ridiculously minor), the film was a pure joy. It delivered on the promise of a Marvel-ous adventure with Captain America, Thor, Iron Man and (finally) an awesome, Incredible Hulk.